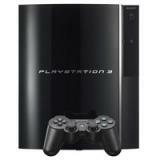 Everyone can contribute to advances in biomedical research by contributing the calculative ability of our Playstation 3 to scientists. The project has already been under way for some months, though it would be interesting to incorporate as many people as possible to increase the calculation capacity. At the moment, the group of researchers count some 130 machines connected, all of which are located outside Spain. Anyone interested in donating part of the computational time of their Playstation 3 to science can simply download the program onto a 1 GB or more pen drive from the website http://www.ps3grid.net/live and insert it into their Playstation 3.